I love dancehall returns for 2014 with a big line up of local, interstate and international talent. 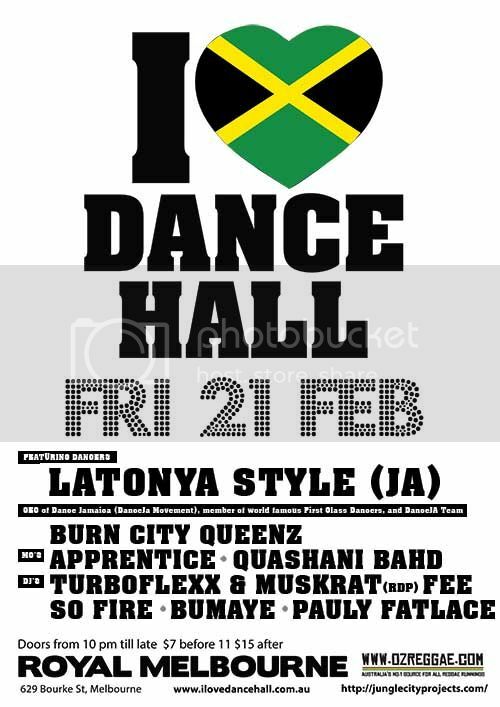 I ♥ dancehall is dedicated 100% to the bass heavy sounds of Jamaican dancehall. From the oldschool to the new. Always showcasing local talent, always bringing good vibes and dancefloor madness. Friday 21 Feb – downstairs at the Royal Melbourne – bottom end of bourke st.